Solar Bones is a masterwork that builds its own style and language one broken line at a time; the result is a visionary accounting of the now. A vital, tender, death-haunted work by one of Ireland's most important contemporary writers, Solar Bones is a celebration of the unexpected beauty of life and of language, and our inescapable nearness to our last end. It is All Souls Day, and the spirit of Marcus Conway sits at his kitchen table and remembers. In flowing, relentless prose, Conway recalls his life in rural Ireland: as a boy and man, father, husband, citizen. His ruminations move from childhood memories of his father's deftness with machines to his own work as a civil engineer, from transformations in the local economy to the tidal wave of global financial collapse. Conway's thoughts go still further, outward to the vast systems of time and history that hold us all. He stares down through the "vortex of his being," surveying all the linked circumstances that combined to bring him into this single moment, and he makes us feel, if only for an instant, all the terror and gratitude that existence inspires. It took me some time to adjust to the book's style; I had to make a conscious choice to break with the expectations I brought to the text. But I am so grateful that I did. Reading this book felt a little bit like falling, a long exhale of life's pent-up anxieties. "This is how you get carried away," Marcus says. When I allowed myself to be carried away along the bumps between line breaks, it felt like a rush and a clatter toward an inner beauty and stillness. (Reviewed by Chris Fredrick). Excellence is always rare and often unexpected: we don't necessarily expect masterpieces even from the great. Mike McCormack's Solar Bones is exceptional indeed: an extraordinary novel by a writer not yet famous but surely destined to be acclaimed by anyone who believes that the novel is not dead and that novelists are not merely lit-fest fodder for the metropolitan middle classes. Hauntingly sad, but also frequently very funny ... Proust reconfigured by Flann O'Brien. Deserving a readership far larger than Irish-literature devotees, this is a work of bold risks and luminous creativity. Starred Review. The latest from McCormack (Notes from a Coma) is a beautifully constructed novel that blends Beckett's torrential monologues with a realist portrait of small-town Ireland. Starred Review. Widely praised, this book is a brilliant tour de force. Starred Review. This transcendent novel should expand McCormack's following on this side of the Atlantic and further establish him as a heavyweight of contemporary Irish fiction along with the likes of Anne Enright and Kevin Barry. With stylistic gusto, and in rare, spare, precise and poetic prose, Mike McCormack gets to the music of what is happening all around us. One of the best novels of the year. Pure enchantment from an otherworldly talent. I admired the hell out of this book. In radiant, exquisite prose, Mike McCormick dilates time, erasing the line between the external, concrete world and the interior world of thought and feeling, memory and soul. Solar Bones is a deeply affecting, mesmerizing and quietly astonishing novel. Solar Bones is set in the county of Mayo in Ireland, where the narrator can distinctly hear the village church bell ringing its "six chimes of three across a minute and a half;" he refers to it as the Angelus bell. The Angelus bell is essentially a church bell that rings as a reminder to recite the Angelus prayer. The Angelus prayer recounts the biblical event known as the Annunciation, the moment when the Angel Gabriel appeared to Mary and announced that she was to become the mother of Jesus, the son of God. The ringing of the bell seems to have come into wide use in the 17th century as a means of calling the Catholic faithful to recite the Angelus in the morning, at noon, and in the evening. 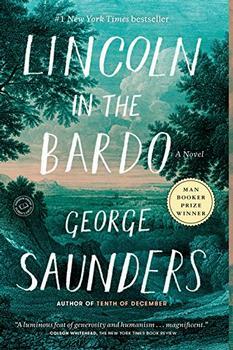 In his long-awaited first novel, American master George Saunders delivers his most original, transcendent, and moving work yet. A contemporary gothic from an author in the company of Kelly Link and Aimee Bender, Mr. Splitfoot tracks two women in two times as they march toward a mysterious reckoning.